Here’s what’s happening in the world of television for Wednesday, November 14. All times are Eastern. 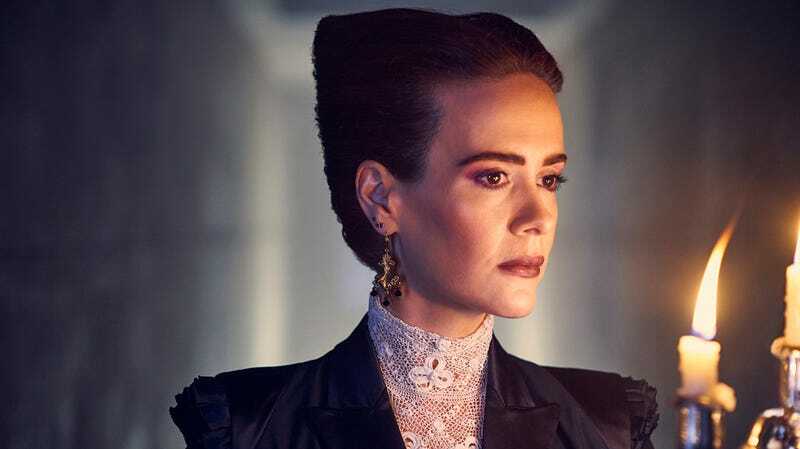 American Horror Story (FX, 10 p.m., finale): In last week’s penultimate episode of American Horror Story: Apocalypse, the list of topics broached included time travel, the Illuminati, the business of television, grief, and the murder of Grand Duchess Anastasia Romanova (no, it’s not a crossover). That list, to sum it up, is bonkers. But that’s American Horror Story, right? That kind of stuff is just another episode ’round those parts. More importantly, that was just another non-finale episode ’round those parts. This week’s episode, “Apocalypse Then,” is the main event. (Get it? Apocalypse Then? Like Apocalypse Now, but with a “Then” instead of a “Now”?) We know the Coven is due to watch the world burn; we know (thanks to the trailer above) that Michael looks very upset; we know Jessica Lange’s around; and we know that Sarah Paulson blows some sparkle dust or something while crying. That’s about it. Anything could happen. Well, scratch that, we know one more thing—that Molly Horan will be there to hold our hands (metaphorically) through the writing of her recap (literally). Origin (YouTube Premium, 3:01 a.m.): Imagine Lost combined with Battlestar Galactica, or Lost combined with Alien, or Lost... in space. (Zing!) The juxtaposition should give you a pretty solid idea of the feel of this series from YouTube, which stars Harry Potter alums Tom “Draco Malfoy” Felton (also of The Flash) and Natalia “Nymphadora ‘Tonks’ Tonks” Tena (also of Game Of Thrones). Should any of those things appeal, or should the name Paul W.S. Anderson carry a positive connotation, get thee over to YouTube and check out the complete first season.